Nothing brightens your day quite like a bouquet of vibrant, fresh flowers. Luckily for Oregonians, the state is home to several flower farms, offering bright blooms and bulbs to enjoy immediately or for years to come in home gardens. Located in the heart of the Willamette Valley, Schreiner’s Gardens grows approximately 120 acres of bearded irises. Steve Schreiner helps run the business along with his sister, brother and nephew. Steve’s grandfather, F.X., began the family business in St. Paul, Minnesota, in 1925 and moved to Oregon in 1946. Schreiner’s grows many different varieties of irises, mostly bearded, and introduces 17 new varieties each year. During the bloom season in May, consumers can purchase cut flowers to put in vases and preorder rhizomes. Visitors can savor the view of those stunning irises in the farm’s two 10-acre display gardens throughout May. The nation’s leading dahlia grower, Swan Island Dahlias in Canby, grows almost 40 acres of dahlias. “We offer about 370 different varieties of dahlias and ship about 300,000 dahlia tubers worldwide per year,” says Heather Schloe, one of the family members at the family-owned and -operated Swan Island Dahlias. The business was started by Heather’s grandparents, Nick and Margaret Gitts, in 1963. Heather says these soils help create gorgeous gardens, and Swan Island Dahlias brings lots of tourism dollars to the state. “We support Oregon’s economy not only by offering many jobs, but also being one of ‘Oregon’s Best Destinations’ for tourism,” she says. Visitors can walk through the fields for free seven days a week each August and September when the flowers are in bloom. They can also choose their favorite tubers to order and plant in their own gardens in the spring. In Woodburn, Wooden Shoe Tulip Farm understands the impact of agritourism from their annual festival each spring, where visitors can wander through 40 acres of gorgeous blooming tulips and enjoy other fun activities. Barb’s parents purchased the farm in 1950 and began growing tulips in 1974. She’s one of six children, and currently runs the farm with two of her brothers and her nephew, with another brother planning to retire and return to the farm. “During the tulip festival, everyone pitches in,” she says. The farm grows about 80 varieties of tulips, along with daffodils and perennials. Iverson says most of the flowers are sold on-site, and they work with several nonprofits to sell them for fundraisers around Easter. Consumers can also order bulbs through the catalog or buy cut flowers. Oregon is also home to the Easter Lily Capital of the World. The isolated coastal region that straddles the California and Oregon border, including southwest Curry County, produces nearly all Easter lily bulbs for the blooming, potted Easter lily market. Grown on about a thousand acres, bulbs are planted in the fall, but the bloom is not allowed to grow in the field, ensuring the growth takes place in the bulb. Each year for three years, the bulbs are dug up and replanted into a new field. Then they are harvested and ready for shipping. If the timing is right, the lilies bloom and are available just before Easter. 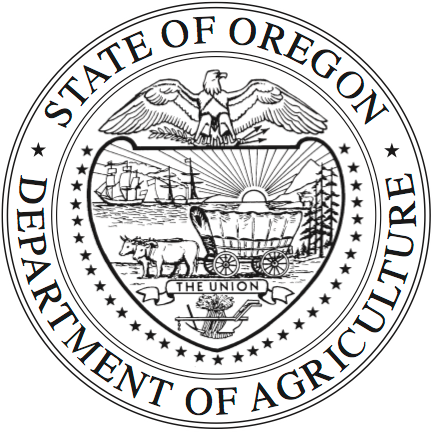 Oregon food and farm trails offer local agricultural fun.